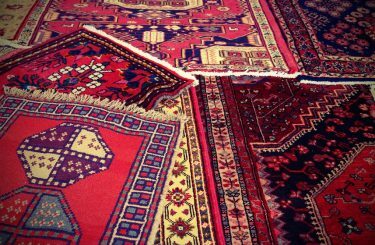 Many people are well aware of the fact that Persian and Oriental rugs are investment pieces. Handmade and unique, they are often constructed of silks and wools that have been handspun and hand dyed and put to use to make gorgeous hand-knotted or hand-woven treasures. Yet, there are many people who try to pass off rugs as authentic Oriental rugs when they are not. It is very useful for anyone eager to invest in such a wonderful object to know how to spot a fake. We have a few good tips to memorize and use. Any authentic Oriental or Persian rug is made using a loom. The process involves the use of threads known as warp threads. 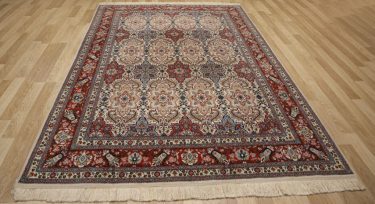 These are what actually form the fringe of the rug, and whether that fringe is subtle or long and elaborate, you can tell if an Oriental rug is fake by examining this area. Is the fringe sewn on to the ends? If so, it is a fake and must be avoided. Also, look at the edges. The hand weaving or hand-knotting processes allow the artisan to use an overwrapping technique. If it appears that the edges are finished with a machine-sewn technique, you’ve spotted a fake. A good way to tell if your Persian or Oriental rug is a fake is to examine how uniform the patterns on the backside of the rug appear. An authentically handmade item is never going to match the uniformity that machines offer. Look for knots of different sizes or threads that are not perfectly linear and you’ll know you are looking at the real thing. Also, be aware that a real Oriental or Persian rug does not have a backing sewn into place. If you cannot see the underside of the rug, avoid it. And if you can, but you see that it has some sort of rigid, plastic-like or other unnatural material in use, it is not a genuine article. A simple way to know if an Oriental rug is a fake is to look at the materials. The warp and weft threads, also known as the foundation as well as the rug itself will always be made of cotton, wool or silk (or a combination of them). Anything synthetic means it is not a genuine Oriental rug and not of the same quality or value. Also take a close look at the colors. They should not be unnaturally even and bright. 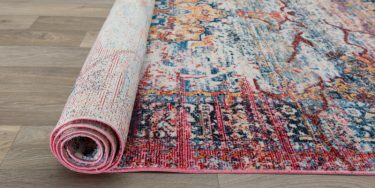 While vegetable based dyes, which are the most commonly used in authentic rugs are bright and true, they are not often unnaturally so, and may even have uneven fading over time. 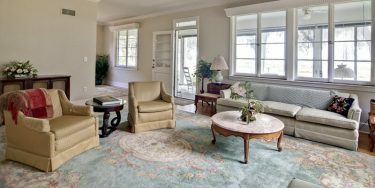 It can be hard, with a novice eye, to detect if dyes are natural or not, but almost anyone can take a close look at a small area of a rug and determine if the colors are a bit too intense for a rug that is meant to be a hundred years or older. 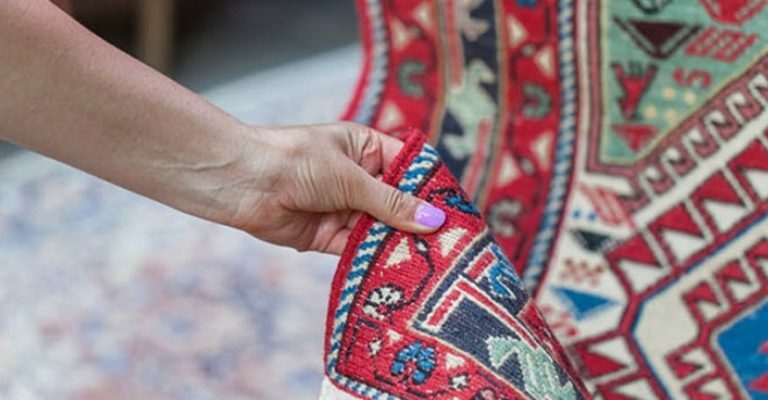 While you may miss the mark, you should figure a quick assessment of the color into your methods and you’ll soon be able to spot a real Oriental rug from a fake! Silk, Wool or Cotton: What Rug Material is Right for You?